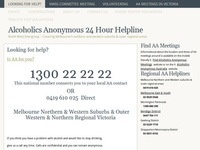 Opportunity for 12th step service work with the NWIG AA Helpline. Any one interested is welcome to attend to learn more. For anyone interested in doing service with the NWIG Helpline. Group representatives are welcome from any group wanting to be part of this phone service. This workshop is for ALL volunteers (new or existing), and also for those who want to check it out before making a commitment.